*I partnered with TinyPrints on this post and it has been sponsored in compliance with FTC requirements. All thoughts and opinions are my own. This post also contains affiliate links and I will be compensated if you make a purchase after clicking on my links. Soon, it’s time to start sending out Christmas and other holiday cards! 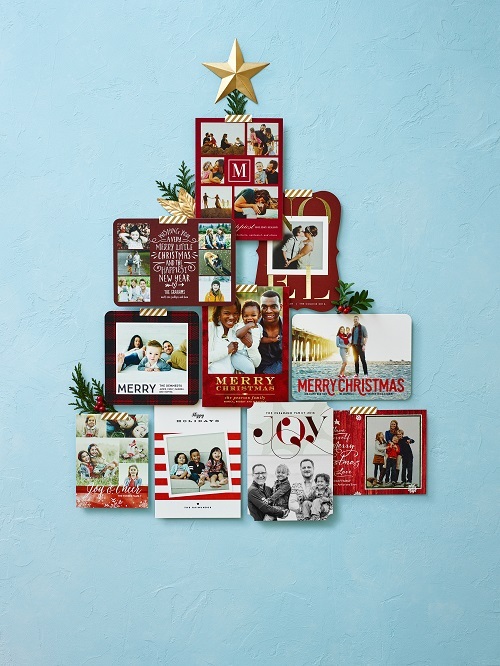 TinyPrints has hundreds of holiday card designs to choose from. We have chosen some of our favorites! Come and have a look! As you see foil and glitter cards are huge this season! Tiny Prints will have some fantastic offers coming up over the next few weeks, including your chance to snag some FREE items! For this week they offer 20 free custom envelopes with any cards and stationery purchase. The offer is available from 11/4 to 11/8. 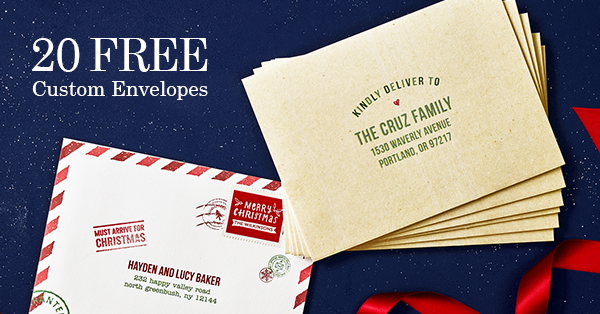 Remember that recipient and return address printing is included free with your purchase of custom envelopes! Isn’t that a great time saver!